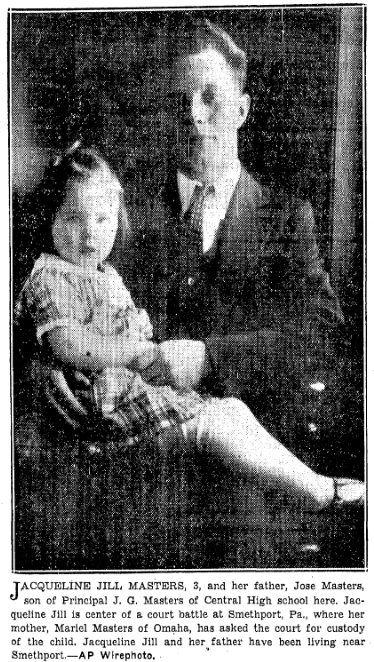 While trolling eBay for items relating to Omaha history, I came across the sale of a photo from press archives of a young woman named Georgia Riddle. 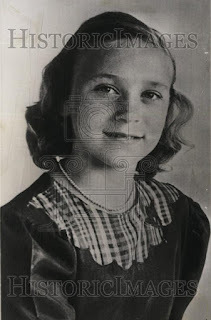 I didn't pay much attention to the picture, but the description "1952 Press Photo Georgia Lena Riddle Expelled From Omaha School By School Board" caught my attention. Now what would a young lady - a school girl, really - do to get expelled by the school board in 1952? Did she show a bit too much ankle? Perhaps she said "damn" and the unforgivable curse was enough to send her to reformatory school? My curiosity was piqued so I did a bit of research in the story. There wasn't a lot to go on, but it was an interesting story even with little meat to go on. 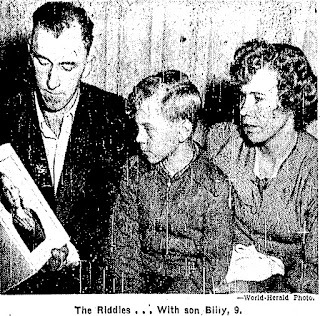 Kermit Riddle, his wife, daughter and young son had moved from Kentucky to East Omaha sometime in 1951, living at 2511 N. 23rd Street, today the site of the Omaha Correctional Center. Around the same time, Clinton Jones had also moved from Kentucky to East Omaha, whom the Riddles had "slightly known," boarding with the Riddles since March, 1952. In September, 1952, their 12 year old daughter Georgia Riddle married Clinton Jones, aged 31, before Justice of the Peace Charles A. Thomas in Lake Manawa, Iowa. Her mother told the Omaha World-Herald that the two "begged and begged for three weeks to let them get married." Mrs. Riddle finally relented, providing they continue to live with the Riddle family. "We thought [Clinton] was a nice guy and had confidence in him." 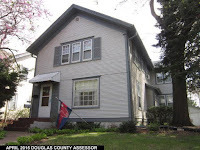 Charles Jones said that the couple had brought a marriage license with them, issued at the Pottawattamie County Courthouse, giving her age as 14, which was the minimum age at which a girl could be married in Iowa and that she had the required consent of her parents. Both parents were witnesses for the ceremony. In December, 1952, Georgia and Clinton had moved out, only taking some of their clothing and a copy of the marriage license from the three-room Riddle home and her parents had not seen them since. It was later reported that they were headed to Albany, Kentucky. Georgia's birth certificate showed she had been born April 29, 1940 in Parnell, Kentucky. The principal of Pershing School said she was in the 7th grade and her records showed passing marks. When he learned that she was married, he and other members of the school board decided she could no longer continue going to classes. "We did not think she would be a good influence on the other children," he reported. Little can be reported from this point. 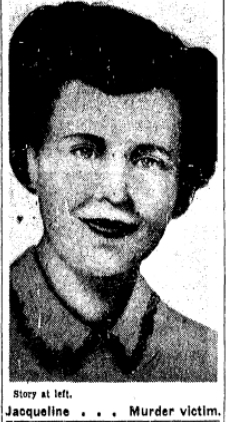 The Omaha World-Herald reported that in May, 1956, Georgia Riddle petitioned the court for an annulment, which was granted on December 1, 1956. 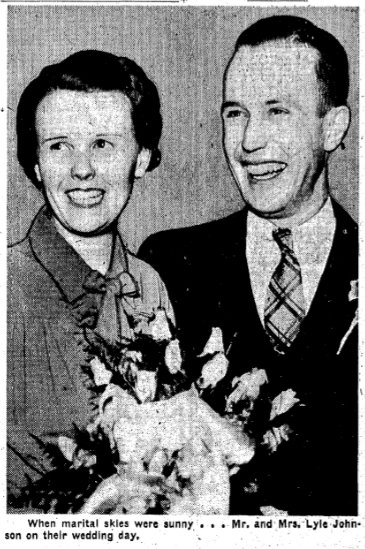 In June, 1957, a Georgia Riddle, age 19, was listed as having married to a Dennis Pyle, aged 28. Is this the same Georgia Riddle? In 1957, she would have been 17. It is not impossible that a 17 might be construed as a 19. Or she may simply have lied about her age. From there, Georgia Riddle-Pyle falls off the map. 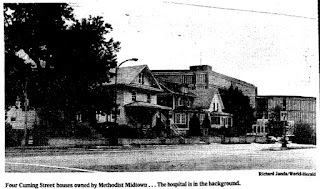 A November, 1957 note in the World-Herald on residents who received income tax refunds for 1956 still lists her as living at 2511 N. 23rd Street in East Omaha, but the record grows cold from that point. Did Georgia finish high school? Did she live happily ever after? Did Georgia and Dennis move out of town? Unfortunately, she goes from being a Pyle back to a riddle. 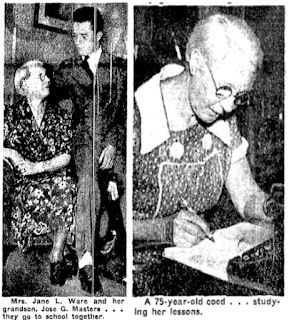 A few weeks ago, there was a post on the Facebook post in the “Omaha History Club” page about Central High principal Joseph G. Masters seeking to annul his son’s secret marriage to high school sweet heart Mariel Russell. At age 19, Mr. Masters contended that his son’s education came first, and that Jose's education would be "handicapped" by marriage. A restraining order was issued to prevent the young couple from living together while the Judge deliberated. 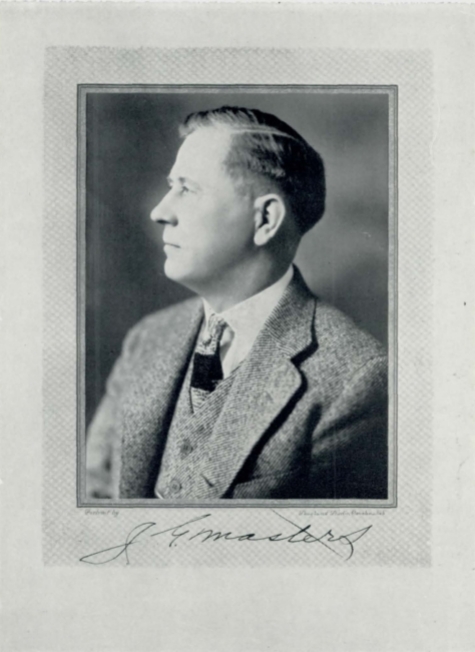 This story intrigued me – mostly because it involved legendary Central High School principal Joseph G. Masters who served from 1915 through 1939. Research revealed that what should have been a story of two young lovers who lived happily ever after became an ugly divorce that commanded national attention, worthy of today’s coverage of celebrities. Jose Masters was born in 1913, two years before his father became principal of Central High. 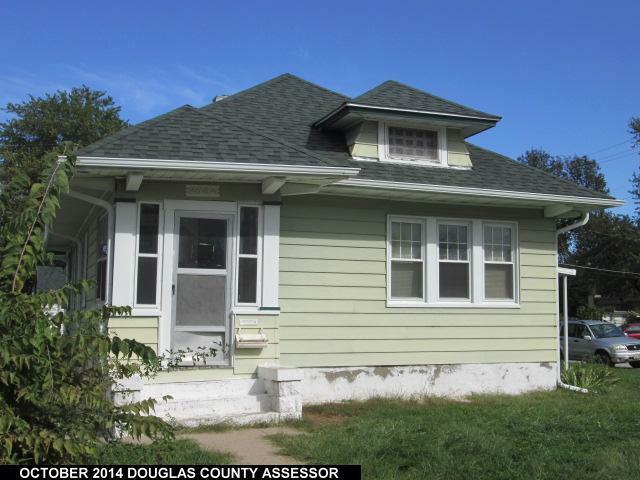 The family lived at 327 N. 37th Street, moving there at some point between 1918 and 1924. The neighborhood, a block from grand Gold Coast homes on 38th Street, was developed not long after the turn of the century, with many houses dating from the 1910s. 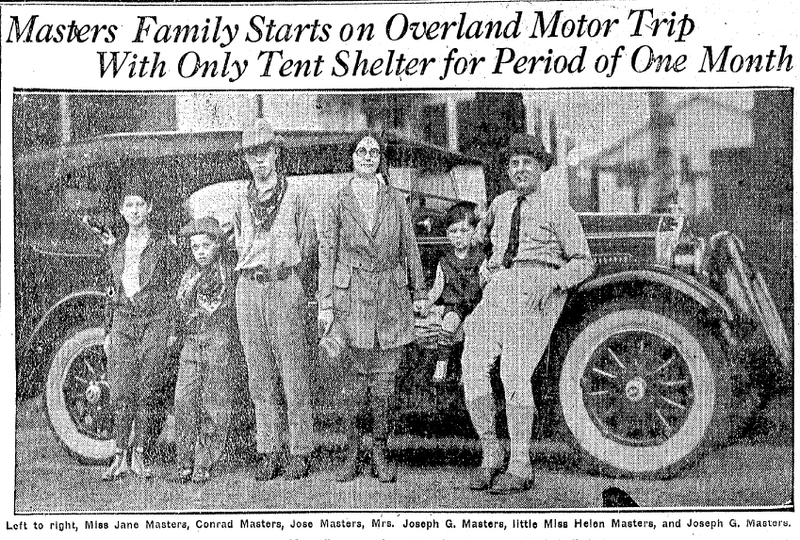 The Masters family were socially active, and seemed to be a close family with four children, travelling together and enjoying 'roughing it,' as they took an annual monthlong road trip in Colorado and Wyoming, living in a tent. but their tent and car, regardless of weather, during their jaunts." Jose displayed a musical talent, playing violin at various recitals and events. 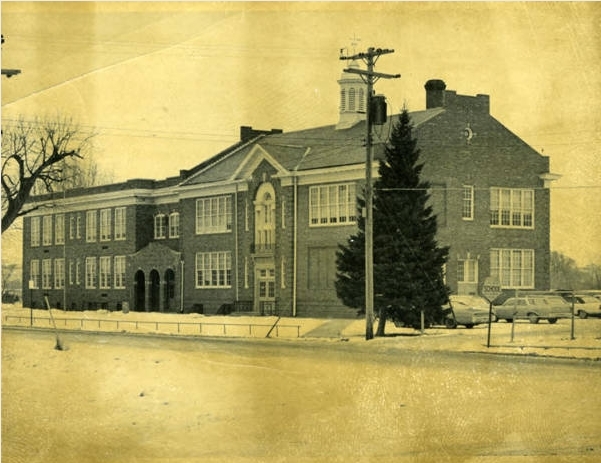 He attended Yates Elementary and began at Central High School in 1928 or 1929. 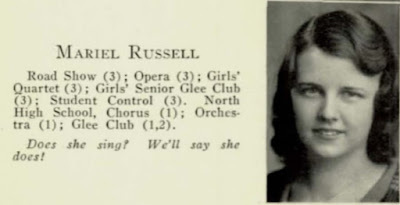 Mariel Russell was the daughter of William and Florence Russell of 3718 Cuming Street. 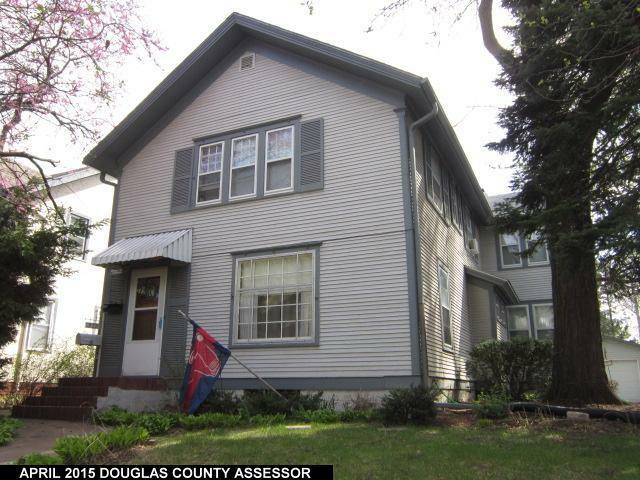 It is easy to imagine Jose walking the four blocks to her Queen Anne home, or the couple walking among the Gold Coast homes or around the Duchesne campus. 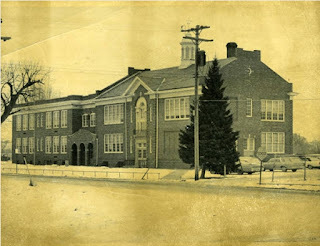 Both Jose and Mariel graduated in 1931. At the conclusion of a lengthy hearing on Friday afternoon, May 20, 1932, Judge Herbert Rhoades said "Now, if I were you kids, I'd stay apart. I'm not so sure right now you are legally married." The World-Herald reported that Judge Rhoades did not know the couple shared a kiss in his office a few minutes earlier. The issue revolved around whether the failure to obtain parents' consent when one of the parties' age was misrepresented was argued at great length. 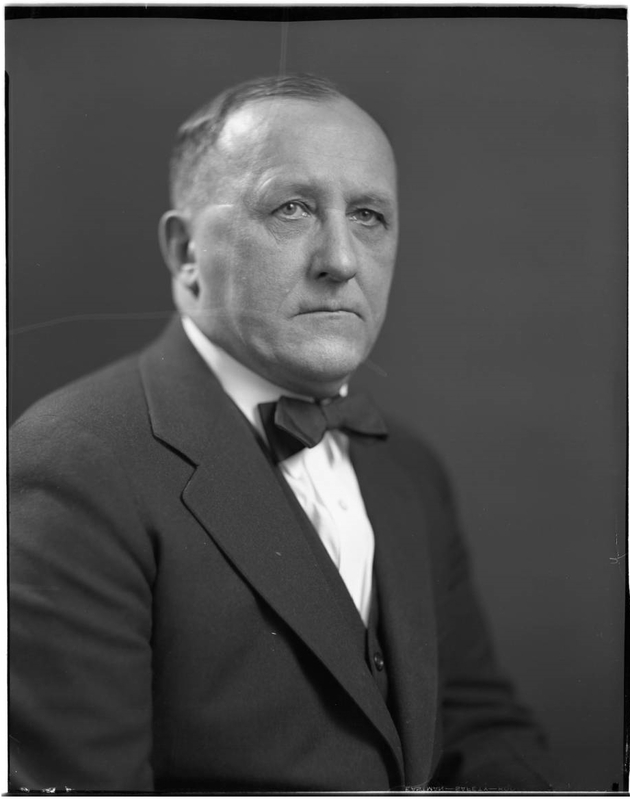 Clarence Walsh, attorney for Jose's parents, argued that the matter was one of "cold law," for the welfare of society. Richard O'Connor, attorney for the couple, argued that the law was "merely directory, not mandatory." Since the proceedings began, Jose had refused to return to his parents home, staying with a friend, while Mariel had returned to her parents home at 3718 Cuming. around the nation in 1936. Jose did not again attempt to regain custody of Jacqueline. 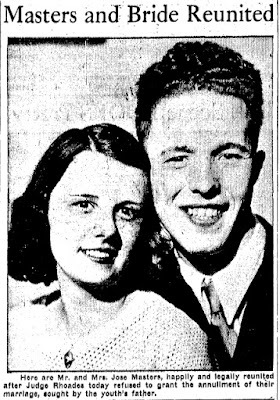 on their wedding day, 1937. Sadly, Jacqueline Jill Masters did not have a "happily ever after life" after the turmoil of her earlier years. 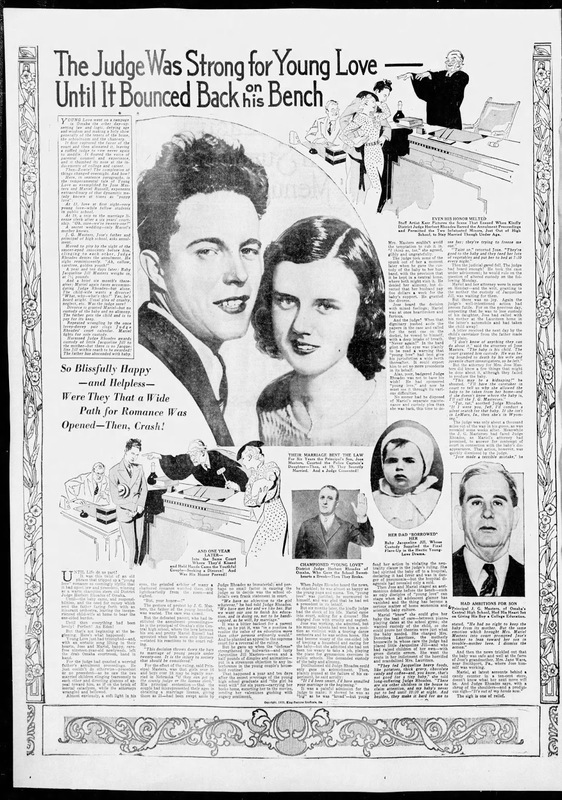 As the World-Herald reported, "the final pages were added to her brief but hectic life with her murder. . . in Minneapolis, Minnesota" in February, 1952. She was married in 1951, and welcomed a daughter named Roxanne in about November, 1951. 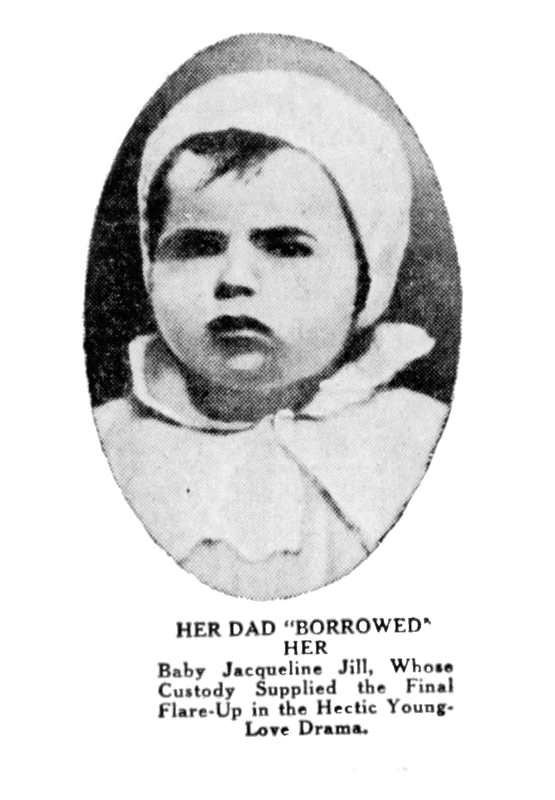 A babysitter came to the house, but hearing no answer to the doorbell alerted Jacqueline's mother. They found her on the floor beside a bed, with a bullet in her right temple. Jose and Mariel's story was widely reported at the time, in newspapers around the nation with all the sensationalism of the times. 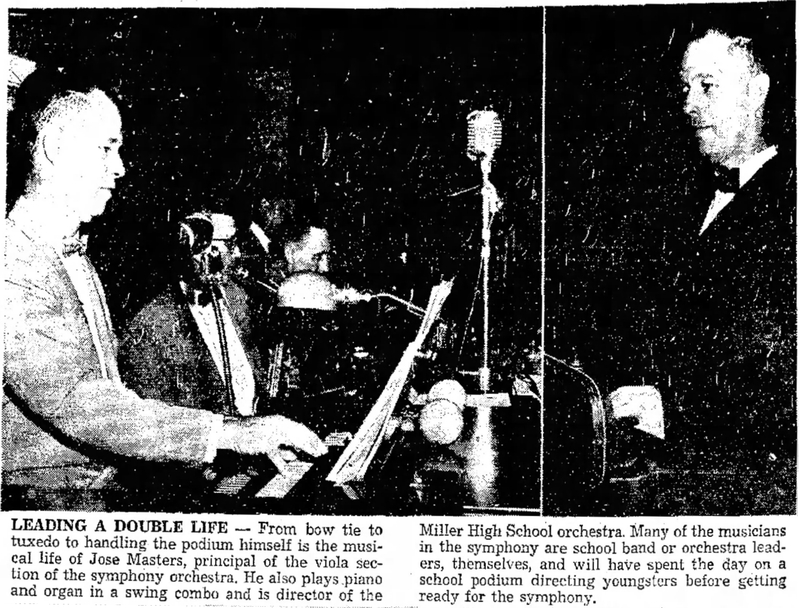 I could not find whether Mariel and Julian Johnson had other children, but I did find that Jose eventually went to Corpus Christi, Texas, playing lead viola in the symphony orchestra, piano in a swing band, and director of the Miller High School orchestra. Jose also remarried, but I was unable to find anything else about him or his wife. 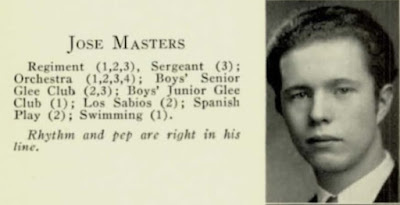 I did find an obituary listing, without any details for Jose Masters of Arlington, Texas, born August 28, 1912 and who died on March 5, 1999 at age 86. This certainly fits the time period of our Jose Masters. It is unknown whether he remained in contact with his granddaughter Roxanne Boyko. After their tumultuous divorce and the pain of losing their daughter in such tragic circumstances, I can only hope that both Mariel and her husband and Jose and his wife were able to lead the lives they wanted and surround themselves with loved ones.